WE TRADE. YOU WATCH AND LISTEN. How does it work? FX Live Trader is pleased to offer an easy-to-use web conferencing system which allows you to directly connect to the computer screen of our professional trader. 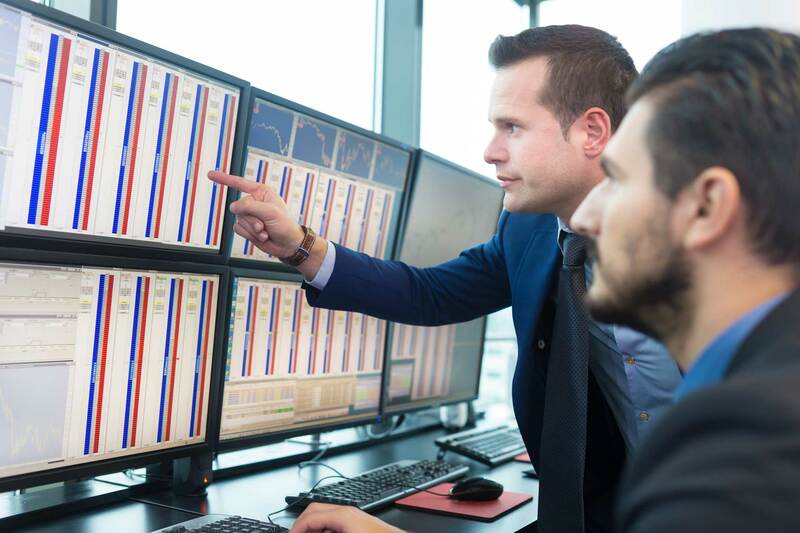 You can connect at any time during our trading sessions and watch the screen as the trader places trades. You’ll also be able to listen in to his real-time commentary, as it is happening. The LIVE Trade Room is hosted by Omovia using their Webinato platform. Using the free omNovia app for either Android oriOS (iPhone and iPad) you’ll be able to watch the room from anywhere. The Mobile app brings the trading room to those on the move and is available in the Apple App Store, Google Play, and Amazon App Store. *Exact times may vary slightly and will be posted in the room each day. Visit us in our Live Trading Room daily to watch us analyze the Forex market, setup our charts, indicators and seize opportunities to buy and sell in the Forex market. Set up your email to receive SMS alerts whenever there is a Forex trading opportunity in the Live Trading Room. Are you too busy to login to our Forex trading room? Does Forex trading not fit into your schedule? No problem! Our MetaTrader (MT4) Trade Copier plugin sends all of our Forex trades directly to your MT4 account. To become familiar with the trade style, flow and money management of our trader and his strategy, follow along on a Demo Account. This will help you assess your own risk management as well as provide a basis for solid money management. This is the “theme” for the session, such as dollar weakness or strength. This occurs when a specific pair is gaining or losing across the board against multiple currencies. For example; “Yen weakness across the board.” Yen weakness would mean the Yen is losing against the market. Placing a small position to get into the market and willing to add additional positions within the buy/sell range for the trade. Closing partials lots as the trade progresses. A 50 pip default stop is automatically placed when a trade is opened. Stops will be adjusted once the trade has opened.